If Marianne Dashwood were to write a book, it might very well be something like Memoirs of Emma Courtney. 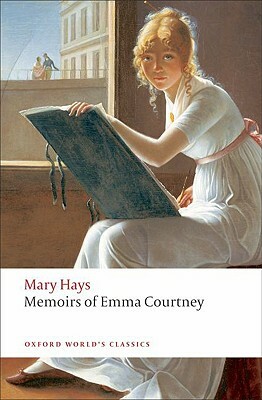 This 1796 novel by Mary Hays is about a women who, like Marianne, falls madly in love and cannot contain her passion. Emma tells her story in a series of letters to Augustus Harley, a young man she calls her son, in hopes that he will learn from her example to deal with his own passions. Emma begins with her own beginnings. Her mother died in childbirth, and Emma was raised by a loving aunt and uncle and later her father, who was cold and distant but interested enough to see that Emma was educated. He tried to steer her toward sober subjects, such as history, and she was interested, but it was works like Rouseau’s Héloïse that made the strongest impression on her. After Emma’s father died, she goes to live with his brother and his family, and it is here that she meets the men who will become central figures in her later life. One man becomes a philosophical mentor and guide, another a friend and suitor, and another the love of her life. To admire, to esteem, to love, are congenial to my nature–I am unhappy, because these affections are not called into exercise. To venerate abstract perfection, requires too vigorous an exertion of the mental powers–I would see virtue exemplified, I would love it in my fellow creatures–I would catch the glorious enthusiasm, and rise from created to uncreated excellence. When Emma meets Augustus Harley, Mr. Harris’s fears that “instead of cultivating your reason, you are fostering an excessive sensibility” seem to come to pass. Emma feels an almost immediate passion for Harley, and she decides that she must declare her feelings. At this point, her letters begin to become unbearable. When Harley does not respond to her, she continues to write, pleading for just a simple word of explanation for why he doesn’t return her love. When he finally does respond, she writes again, pleading with him to explain further or to reconsider. She believes that if she can only persevere, she will win him over. Emma’s letters to Augustus are long and increasingly difficult to take seriously as she seems bent on giving up all self-respect and good sense to win over a man who has refused her advances. In comparison to Emma Courtney, Marianne Dashwood is a model of restraint. Emma’s passions are so close to boiling over that she faints at the mere sight of a portrait of Augustus! I think even an Ann Radcliffe heroine would have the sense to faint because she fears for her life, not because her love’s mother hung his picture on the wall. May Hays was a feminist and friend of Mary Wollstonecraft, and some believe that the character of Mr. Francis is based on Wollstonecraft’s husband, William Godwin. So why would she write a novel about a woman who is so weak and out of control? To some degree, she was probably following along with the literary tropes of her day. This was the age of the Gothic novel, and fainting women were the rule. The sensational denouement also shows some Gothic influences. The plot in those final pages moves surprisingly swiftly in comparison to everything that came before, and although the shock value comes nowhere close to what you’d find in Matthew Lewis’s The Monk, which was published in the same year, there are some surprising moments, especially given that the scandalous behavior in the previous chapters tended to be much less dramatic. Why call woman miserable, oppressed, and impotent, woman–crushed, and then insulted–why call her to independence–which not nature, but the barbarous and accursed laws of society, have denied her? This is mockery! Even you, wise and benevolent as you are, can mock the child of slavery and sorrow! Excluded, as it were, by the pride, luxury, and caprise, of the world, from expanding my sensations, and wedding my soul to society, I was constrained to bestow the strong affections, that glowed consciously within me, upon a few. In a day when women’s fields of activity are so limited and when marriage is considered the most effective way for a woman to ensure her own security, what is Emma supposed to focus her energies and passion on? This laser-like focus on one man, one source of happiness, is only natural in a world where women have so little else to think about. Emma says early on in her memoir that character is shaped by circumstances, so she cannot be entirely to blame for her irrational behavior. In a different time and place, she could have been a different woman. What I wonder now is whether our time and place is that much more congenial to an Emma Courtney than the late eighteenth century. In her recent post on Feminism Is for Everybody, Amy wrote about how many women still feel that their highest calling is to be a wife and mother. As admirable and important as that calling is, what happens to woman who, whether by choice or circumstance, end up on a different path? What are women willing to do to ensure they find a partner? Who are today’s Emma Courtneys? This is completely unknown as far as I am concerned. I might dig it out not so much because the subject matter interests me as the epistolary style. I’ve just been doing some wok on Aphra Behn, who a century earlier was using the letter format to write some of her prose work and this would be an interesting follow on. Thank you. I love epistolary novels! Have you read Jane Austen’s epistolary novel, Lady Susan? It’s another good one to check out. Totally unknown to me too, but I would love to take look – I’m always interested in the way women are portrayed, and how that relates to the social mores of their day. I wish I could remember where I heard about it. I’ve had my copy (in a combo edition with Adeline Mowbry) for several years. I do wonder if Jane Austen read this. 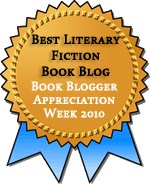 In Jane Austen & the Fiction of her Time, Mary Waldron calls this a radical novel for the time, because Emma is trying “to take charge of her sexual destiny.” Thanks for your review – another one for my list. What I’d really like to know is what she thought of it if she did. Emma’s behavior is so over-the-top in comparison to Marianne’s, and Marianne’s more restrained behavior is treated as, at best, unwise. There’s probably the beginnings of a thesis topic there. Shelf Love adds another book to my TBR list. This would have been a perfect addition to my thesis, too. And you raise some interesting questions in the end of your post. I’m enjoying Delusions of Gender so far, by the way. It is forcing me to re-think several things as well. I love thinking about how the issues in older works like this are still with us (or not) today. I wish I could say it wasn’t relevant at all, but I think it is. Glad to hear you’re enjoying Delusions of Gender. Jenny has me itching to read it myself, and I look forward to seeing your thoughts! Oh, this sounds really interesting as a book to STUDY, but I wonder if I would enjoy it as a woman reading for fun? I like that the protagonist is trying to take charge of her future, but I don’t like that she is presented as an extremist. I was reading it mostly for fun, but part of the fun for me was considering how it fits in its place and time. And to be fair to Emma, the extremeness of her behavior may be in the eye of the beholder. Other readers may not find her pleading to be as over the top as I did. Have you read Letters of a Portuguese Nun, by Guilleragues? It’s originally in French, another epistolary novel, five letters supposedly from a nun to her lover. It’s an absolute gem. She starts out confident in her love for him, realizes he’s abandoned her, and goes through all the stages of pleading and grief before reaching another kind of acceptance and confidence. I’ve taught it and I love it. I’ve never heard of it, but it sounds great. Looks like the English version is hard to come by, though.